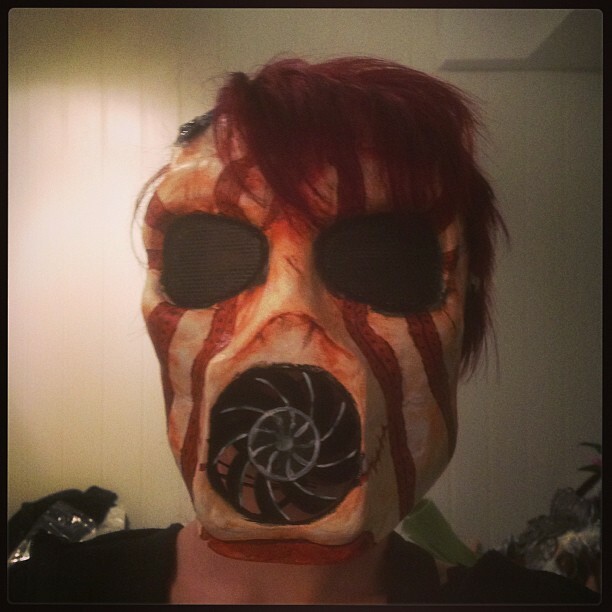 During Närcon I got a suggestion to join in a Borderlands group during Alcon in England which starts next week. Appearantly my size and energy is more like a midget psycho and thus I wanted to challenge myself a bit. 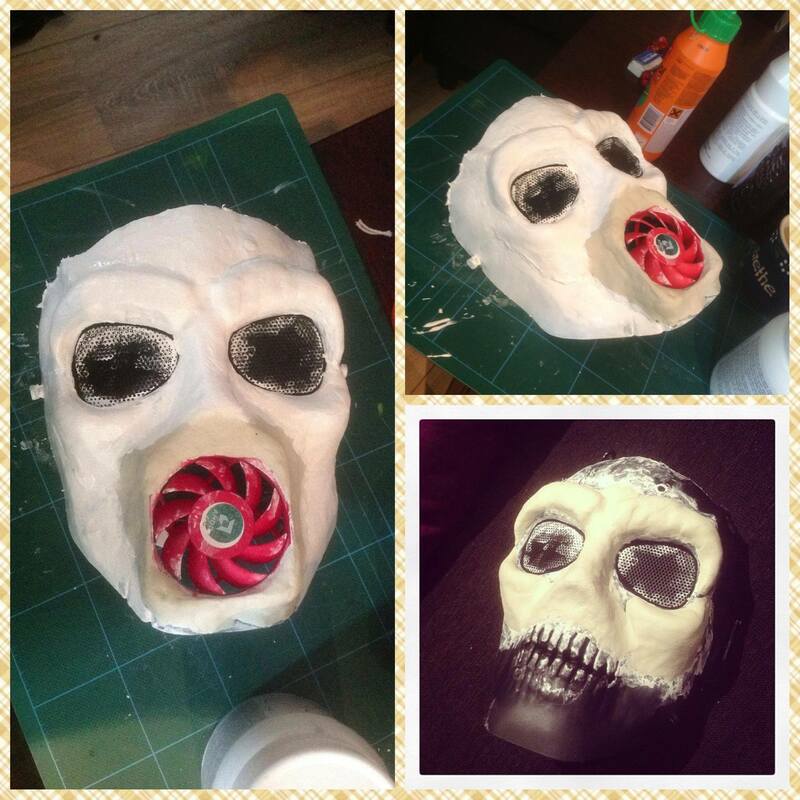 Making one of the masks have been a goal to achieve and I finally did so! Only thing that is left is getting the lights installed. for my head and would ruin the proportions. also to make scratch marks on the mask after applying air-drying clay. The dremel was also used to make the hole to fit the computer fan. Tho mine is a really powerful one and can damage skin if turned on. Be careful when getting one. mine has protection back on it when I choose to install it. 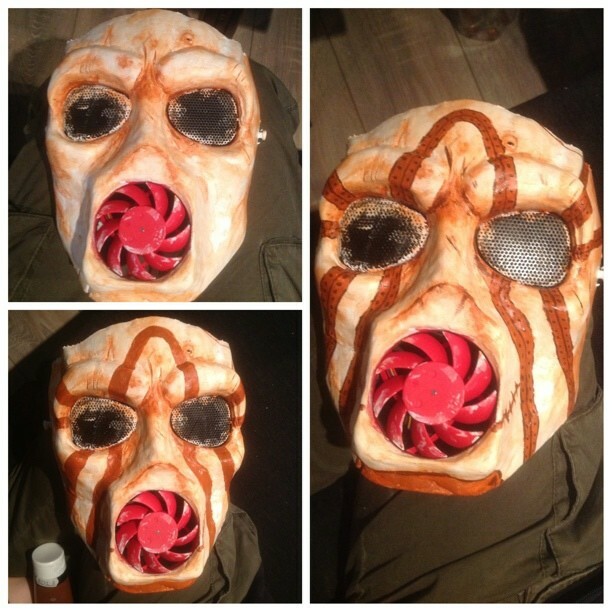 After finishing painting the mask I glued back on the «knobs» from the piece I had cut off earlier with the multitool/Dremel with a combination of both hot glue and epoxy glue. ready for getting the lights installed.